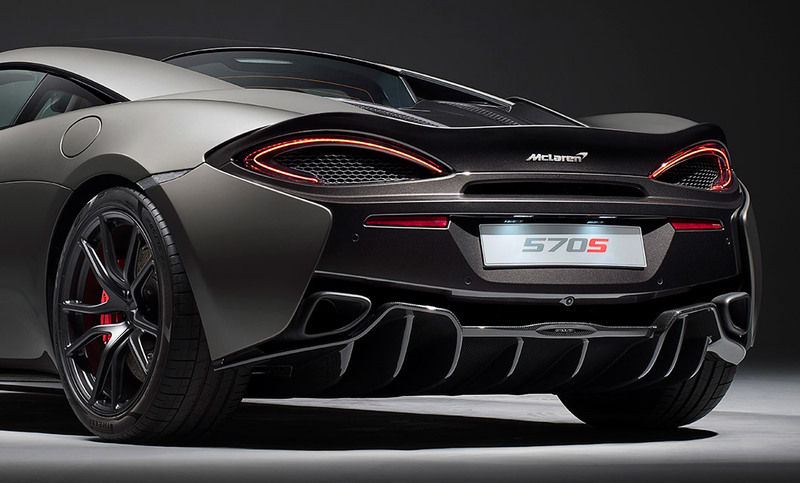 Discover the McLaren 570S Coupe. For the Drive. The McLaren 570S Coupe is equally on home on the road or race track. Our past has brought us to the future: the McLaren Sports Series stands as a testament to our passion for both performance and innovation. Like every McLaren, the Sports Series is built around an incredibly strong, stiff and light carbon fibre chassis. This gives enormous strength and allows for unprecedented handling accuracy. Visit McLaren Birmingham or McLaren Bristol to discover the 570S. At Rybrook we believe your experience should be exceptional, book an appointment with our team who will be delighted to introduce you to the new model on a configuration and demonstration drive session. The Sports Series is incredible to behold, but every part of it has a clear purpose – it is beautiful yet functional. The athletic stance and tightly wrapped proportions are unmistakably McLaren, and the shape of the Sports Series has been sculpted to deliver optimal aerodynamics. The exposed engine and venting inside the rear lights help heat evacuation, the “flying buttresses” stretching from the roof to the long rear deck increase downforce, and the intricate design of the doors with their distinctive “floating” tendons are carefully designed to guide airflow to the side-mounted radiators. There are no unnecessary details, but rather a beautiful combination of form and function. The Sports Series is powered by a mid-mounted twin turbo 3.8-litre V8 engine. With race-derived technologies, the McLaren-designed engine produces 562bhp in the performance-focused 570S Coupe, making it one of the most powerful engines in its sector. The combination of so much power and a class-leading low kerb weight of 1,440kg for the 570S Coupe delivers truly exhilarating performance, courtesy of the superior power-to-weight ratio. The 570S Coupe can accelerate from 0-62mph in just 3.2 seconds and travel from rest to 124mph on 9.5 seconds. The top speed is over 200 mph, a figure reserved until recently for the most exotic supercars. Every McLaren is special, but we know that you want to make sure your Sports Series is also unique. 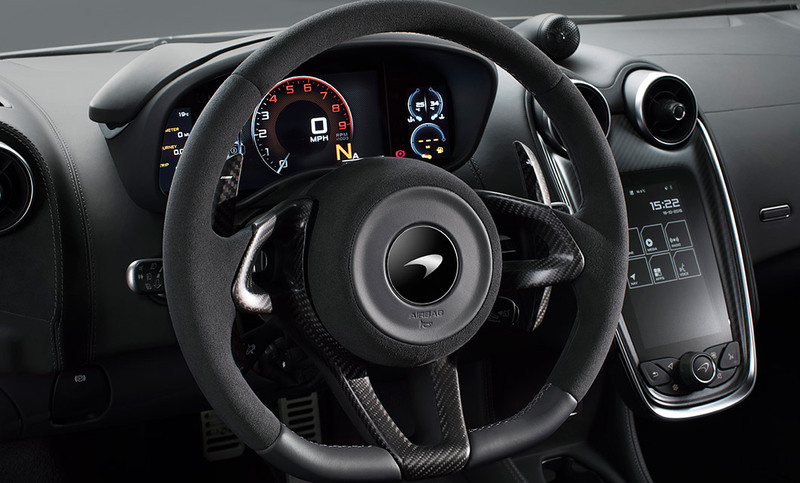 That is why we offer a huge range of customisation options, from the comprehensive list of optional equipment, performance and aesthetic upgrades, all the way to bespoke modifications from our McLaren Special Operations division. We want to help you to build a car that reflects your tastes, desires and personality; a McLaren that is perfect for you. If you would like your new McLaren to be truly unique, please contact a member of the team for further information. Below are the technical specifications for the New McLaren 570s Coupe. 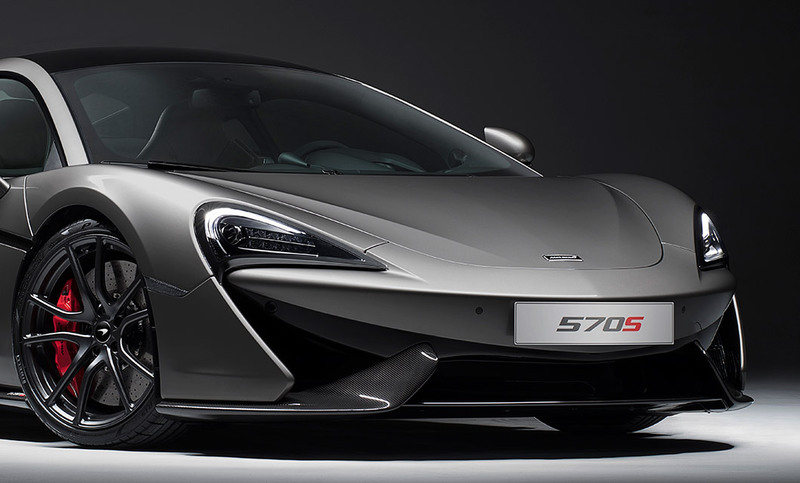 Interested in a New McLaren 570s Coupe?